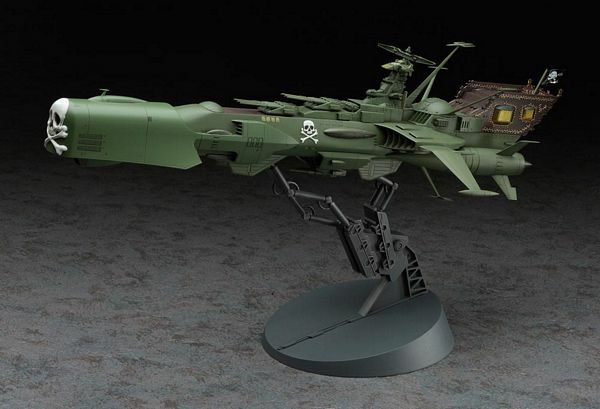 This is the 1/1500 Scale Space Pirate Battleship Arcadia Plastic Model Kit from Hasegawa. 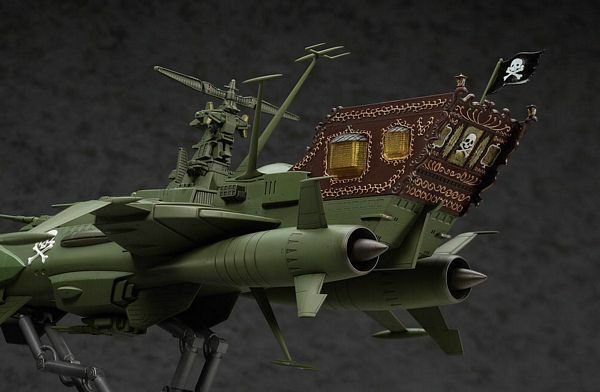 Captain Harlock pilots the Battleship Arcadia in a fierce resistance to the encroachments of an alien race, the Mazone. His semi-sentient ship is one of the few hopes for survival humanity has left. 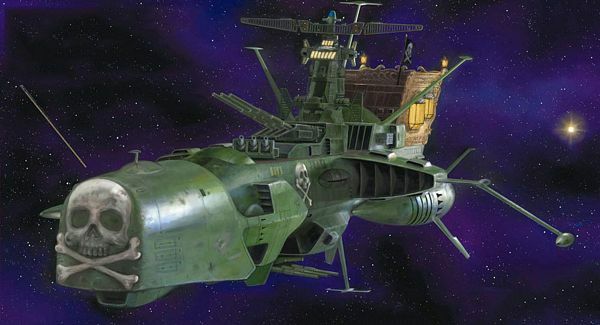 Pulsar cannons bristle from the sleek green decks, prepared to turn warships into cosmic dust. Grapnel launchers stand ready to fix into prey and bring the Arcadia's lethal blade ram to bear. 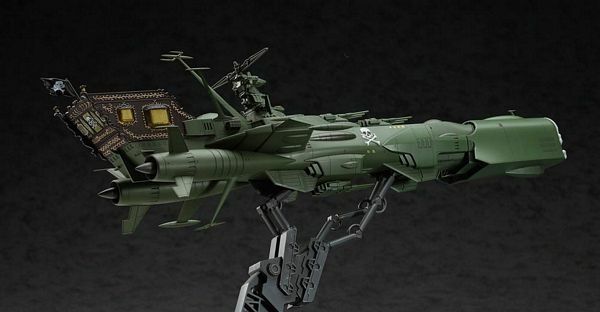 Even without ever seeing the movies or mangas, this ship is a piece of lethal art deserving of a proud place in your display case. BOX DIMENSIONS: 10.63" W. X 3.38" H. X 16.63" L.